I know – other countries have beavers also but we have it on our 5 cent coin so we claim it as one of our symbols. When I was taking the Conestogo River sunset picture I heard a splash in the water. Looking back to where the sound came from I saw nothing and assumed something fell into the water. 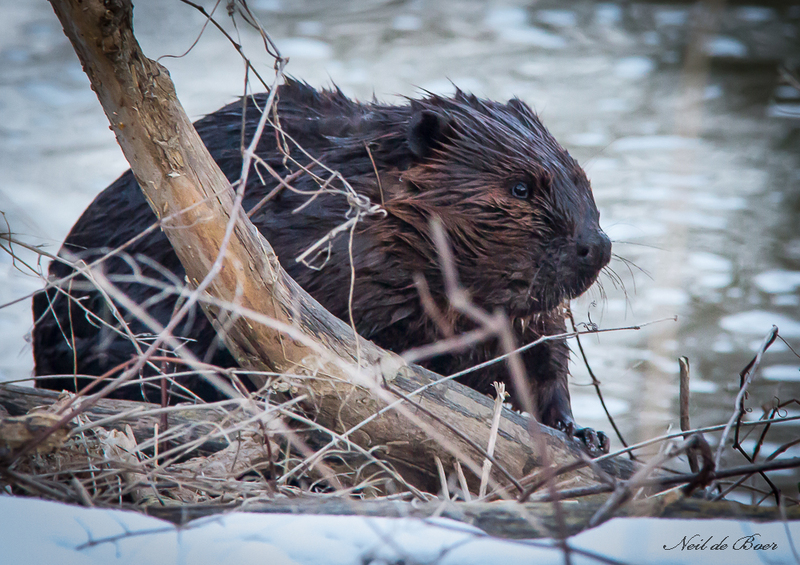 Then out of the corner of my eye I saw several beaver swimming near by. I took the camera off the tripod and waited to see what they would do. One came up on shore and I got this shot. It was a real toss up what to shot – the beaver swimming around and occasionally slapping their tail on the water before diving (the splash I heard) or continue shooting the sunset.